Tiffany and I decided to see the Seattle-Tacoma area at its best, so September takes us to the Evergreen State. Most of the tourists are gone and the weather is perfect. Who are the ding-a-lings claim it is always gray and rainy here? 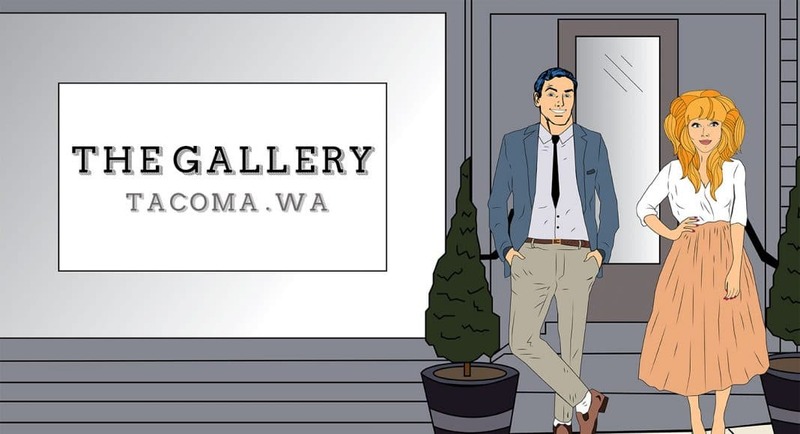 An added bonus: Weed is fully legal here in Washington! We love this state. We discovered an amazing RV park about an hour east of Tacoma surrounded by trees and along a river, soaking in the natural beauty of the Washington for a day. We hiked in the morning, leaving Tiffany ready for a relaxing afternoon lazing by the river. On the trail, we bumped into Angela. Angela greeted us with a warm smile and some sage advice about the bear alerts in the area. We told her about our RV tour of the country and she loved hearing about our adventures. 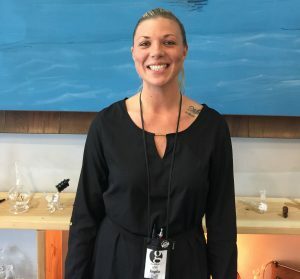 She told us about her job as a budtender at The Gallery, an upscale marijuana store in Tacoma. We promised to visit the following day, a Friday. This town on a Friday during the NFL season is a trip. Every other person I saw seemed to be wearing a Seahawks jersey or hat or T-shirt. They call it Blue Friday here and everybody is into it. So fun. Angela, who is a die-hard Seahawks fan, greeted us at the counter at The Gallery She asked how are legs felt after our strenuous hike the day before. I think she saw me limping a little as I walked to the counter. Tiffany and I admitted that the hike may have got the best of us and our legs were a bit tired and sore. We asked Angela for something that would ease our muscle pain, make us smile and help us get a good night’s sleep. Angela recommended a few grams of Liberty Haze, a strain from The Virginia Company. She told us that the strain would relax our muscles. Perfect. We took the buds back to our RV later that night and wow! The flavor was amazing and the effect was long lasting. We felt totally relaxed and chill the entire evening. Our aches melted away and we both slept for hours listening to the river flow by us. Angela’s recommendation was perfect for us. Give her a try. 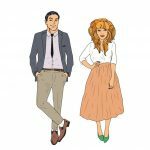 Walter & Tiffany are a fictional couple traveling the United States in search of adventure, good food, cocktails – and legal marijuana. 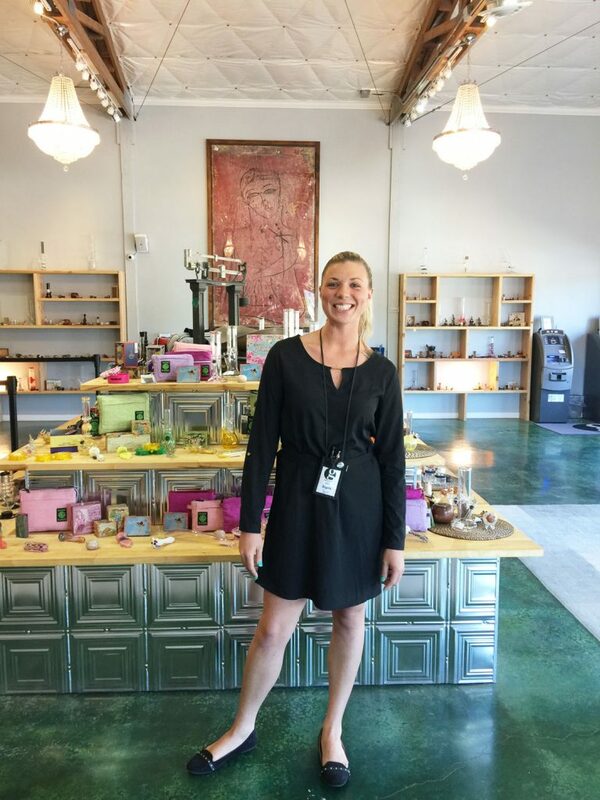 Each episode, we will feature a budtender at a retail marijuana store. Follow the series.